Banpresto proudly presents the Dragon Ball Z Dramatic Showcase figure collection featuring the most fearsome and recognizable group of elite fighters of Frieza's army, the Ginyu Force! 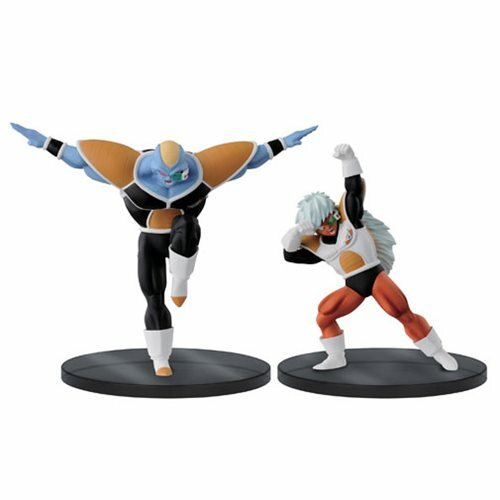 Next up are 5 1/8-inch tall figures of the ferocious tag team of the infamous Purple Comet attack, Burter and Jeice! Collect them all to create the most popular anime group pose ever! Ages 15 and up.